We run our informal networking meeting at The Curio Lounge in Stroud usually on the second Thursday of the month. Please note we are usually upstairs! It is open to members and non-members to attend and all you need to do is turn up and pay for your drinks. It is a great introduction to going on to attend our main meeting at The Lodge at Minchinhampton, for networking on a more intimate basis or you if find that you cannot make our main meeting. Future dates for this meeting are on our website. 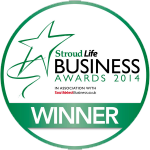 For further information please contact us by email at enquiries@stroudbusinesswomen.org.uk.